TORONTO, ON—Keeping her eyes on the road and hands on the wheel has made Manitoba’s Melissa Gerbrandt the Grand Prize Winner of The Dilawri Foundation’s national anti-texting and driving campaign, with the help of texi—a one of a kind mobile app that offers users prizes for keeping their hands mobile-free while driving. 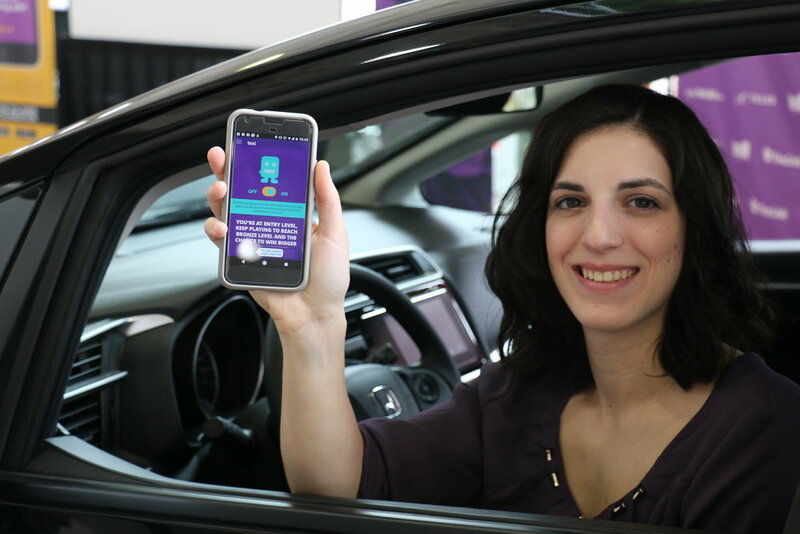 The Dilawri Foundation—a non-profit organization committed to supporting communities across Canada—created the texiapp to help curb texting while driving. Users who activate texi before they start driving earn one point for every minute they travel without using their smartphone. They are entered into a monthly draw to win great prizes including gift cards, smartphones, travel vouchers, gas cards and more, generously gifted from the likes of TELUS, Kernels Popcorn and others. The more points they earn, the bigger the prizes up for grabs. The Dilawri Foundation is proud to present the winner of their Grand Prize—a brand-new 2017 Honda Fit! Melissa Gerbrandt, a teacher and part-time CIC Reservist in the Royal Canadian Air Force from Manitoba was honoured with her new set of wheels at a press conference held on Thursday, March 30th at Markham Honda. “Due to our connection with the automotive industry, we felt it was our responsibility to help create safer roads for Canadians,” said Kap Dilawri, Co-Founder of The Dilawri Foundation, “Our goal is to empower Canadians by rewarding them for practicing safer driving habits”.